Absolutely gorgeous post and beam style home with a nonchalant feel. 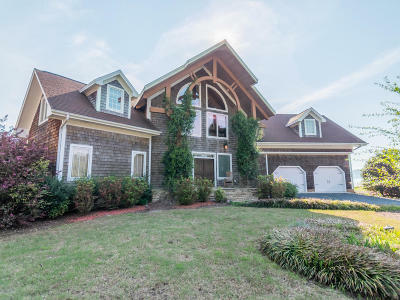 The custom built home sits on one of the prettiest lake front lots in 7 Lakes West. If you are looking for a sanctuary of a home this one's for you. Enjoy the sunset from the back deck every night, or sip coffee in the morning and watching the sun dance off of the water. This house has everything the owner wants on one level. A large master bedroom with two closets, a large garden tub and a multi head shower. The kitchen has been updated with lots of cabinets and granite counters and room for 6 at the bar. The kitchen is open to the living room with soaring ceilings. Upstairs offers a loft sitting area and two spacious bedrooms each with a bathroom. Not your average lake house!